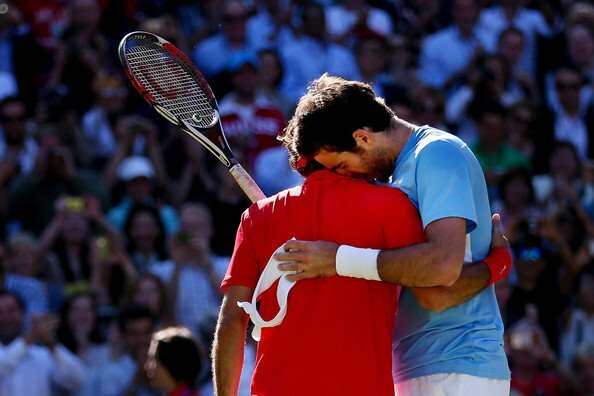 Roger Federer and Juan Martin Del Potro put on a match for history, lasting 4 hours 26 minutes with quick pace play. In the marathon match, it was the Argentine who took the opening set and put immense pressure on the Swiss the entire way. Federer strived to hold serve, but found it extremely difficult to break despite plenty of chances. The match went on, and the Swiss maestro forced a second set tiebreak where he prevailed 7-5. However he would not break Del Potro again for a long time. The marathon third set pushed back the entire schedule of play, and the Swiss would have his first opportunity at 9 all. After breaking to go up 10-9, adding to the drama of the match, Federer would be broken at love while serving for the match. Then consistency in the service games resumed, but the scoreline went on. 12 all. 14 all. 16 all. Federer had two more crucial chances to break, one with a love 40 opportunity, only for Del Potro to reel off five straight points and hold serve. The second of these vital chances, Federer broke, and then with some trouble serving out the match, after two deuces, at last the match was over. Game, set, match, Federer, 3-6 7-6 (5) 19-17. 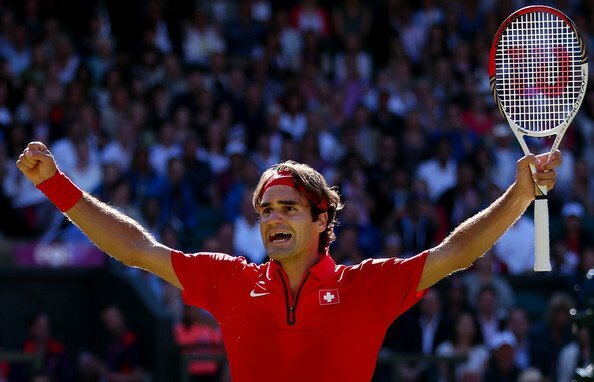 With the historic victory, the Swiss star moves on, into the 2012 London Olympics gold medal final.